Each Carstens’ device comes with a notebook with a preinstalled software package. It contains all the necessary software – amongst others those for the data acquisition, the sound recording, and the calibration. Software updates and upgrades including new features are usually provided as a self-extracting file. The software is updated with a simple one-click-installation. The highlight of the Carstens’ software is the improved realtime display: Since the head correction is now part of the visualization software, it is finally possible to blend one sweep into another and regard them in relation to each other. One could, for instance, generate the contour of the head and/or the palate at the beginning of the session. During the following data acquisition, all sensors could be shown in relation to the contours. See demo image. The Articulography community provides various other free and commercial software which enables the user to calculate and visualize the data of different Articulograph models. The software Articulate Assistant and Articulate Assistant Advanced by Dr. Allan Wrench allow to analyse data recorded with the AG200, AG500, and the AG501. The software comes with the possibility to synchronize articulograph-recordings with other instruments. The software is shareware meaning that own data can only be examined with a valid license key. See demo image. Download and further info here. 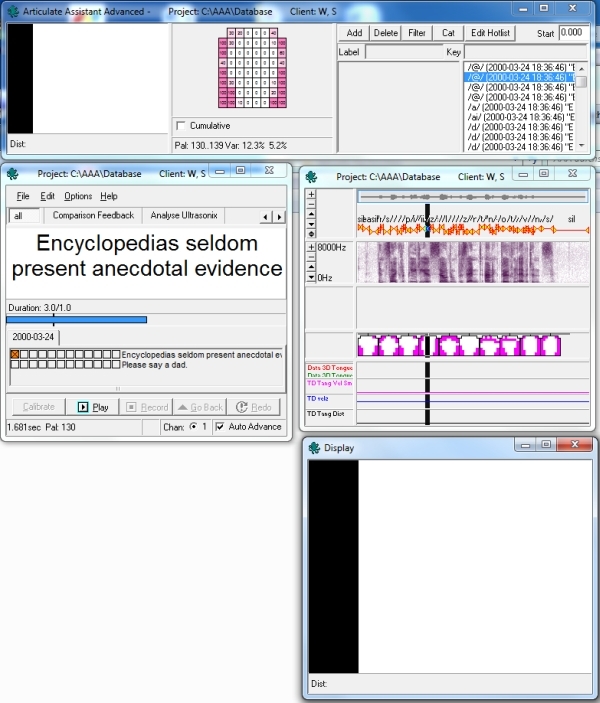 EGUANA is a free software developed at the Oraldynamicslab at the University of Toronto. The software allows the application of different calculation methods for the head and jaw correction. The data can furthermore be filtered and visualized with a basic visual display within the software. The greatest advantage are the various calculation methods wrapped in a user friendly GUI. See demo image. Download and further info here. VisArtico is an advanced EMA visualization software developed at LORIA in Nancy. 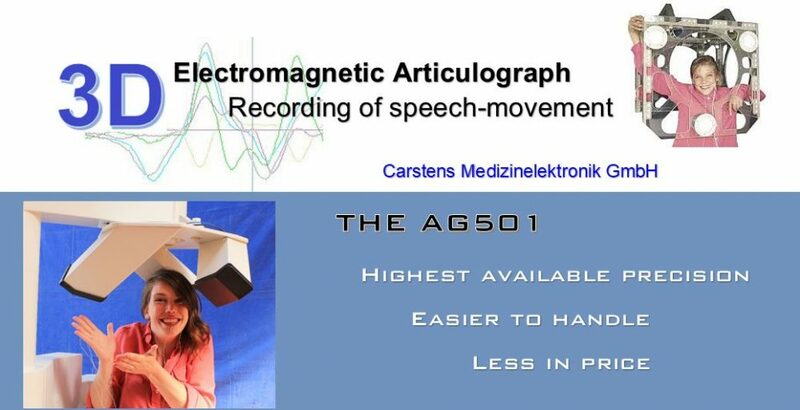 It permits the visualization of data acquired with the Articulograph AG500 and AG501. 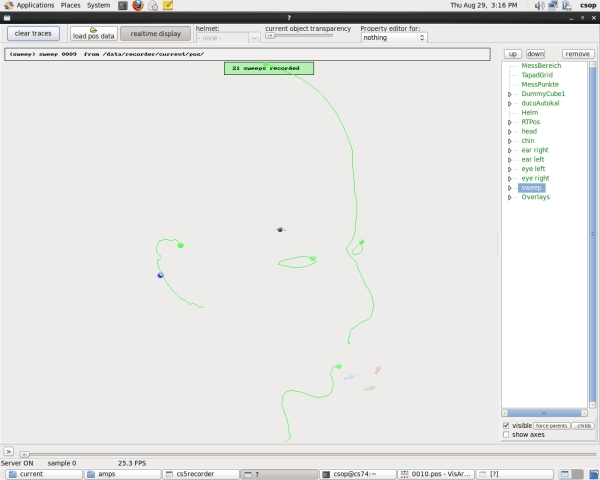 The software shows the movement of the tongue and the lips. The contour of the palate can be calculated from the data, provided that three sensors were attached to the tongue. The software also features several filters, a display of the sound signal, and a wide range of labelling options for the export of the data. See demo image. Download and further info here. 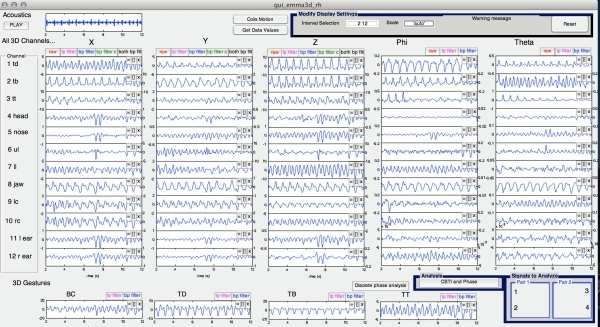 SMASH is a GUI (graphical user interface) driven software program developed at MGH institue of health professions (BOSTON-USA).The software is designed to provide a full solution for articulatory data processing, visualization, and analysis. 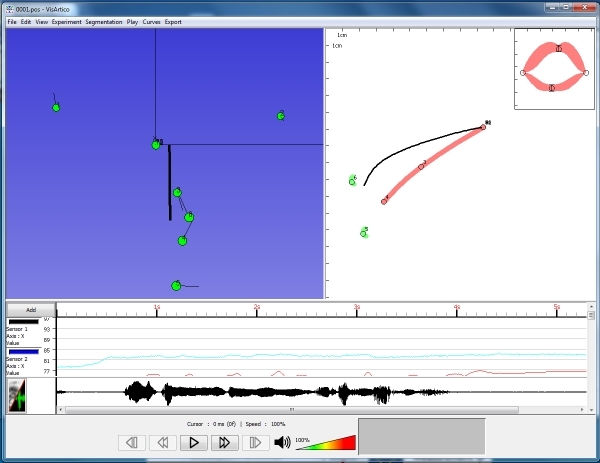 SMASH automates many aspects of data preprocessing and provides a menu driven approach for accessing speech movement visualization and analysis tools. MATLAB scripts are also very popular and widely used amongst the Articulograph community. They can be obtained from the scientists directly. A legal license and a good knowledge of MATLAB are required for the application of the scripts.